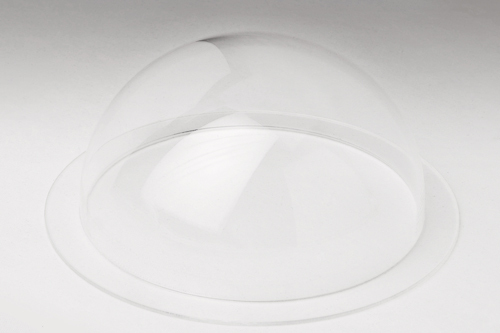 Acrylic domes a perfect for a infinite number of uses, they are formed from high quality acrylic sheet. Acrylic domes are extremely versatile, they are lightweight and strong. The sizes of domes the outside dome diameter is the size that is commonly referred to when placing and order. A standard dome height is usually half of the diameter this can be reduced upon request. Large ranges of sizes and thicknesses to choose from. Flange size can be custom and holes can be added for easy mounting and installing. Flange can be removed if not required. Maximum dome height is half of the diameter. Acrylic domes have excellent resistance to the elements and will perform well outdoors. Significant change in visual appearance or physical performance shouldn’t take place during at least ten years outdoors. Acrylic sheet can be fully recycled back to its original monomer. Further information on recycling acrylic can be found by clicking?here.